At Sign Age we have extensive experience in school signage solutions. Our team of skilled tradesmen have the skills required for all your school signage requirements. Our state of the art workshop is also equipped with the necessary tools and machinery to be able to manufacture all your signs in house – saving you time and money. School sign, including signwritten fascia sign, small garden sign, curved pylon sign and flag. Schools, like many institutions require many different types of signs. These include: illuminated, pylon sign, traditional signwriting, honour boards, flags and banners. School honour boards are the pride of most schools. Honour boards are signs that are cherished by the whole school community. They are often displayed in a prominent place in the school. Choosing the right company to manufacture and add to your honour board is an important task. At Sign Age we are one of the last remaining companies with skilled tradesmen trained in the art of gold leaf. We can therefore offer you a superior service when maintaining old traditional honour boards. We have a large number of schools and educational institutions who have used us for generations to maintain their honour boards. 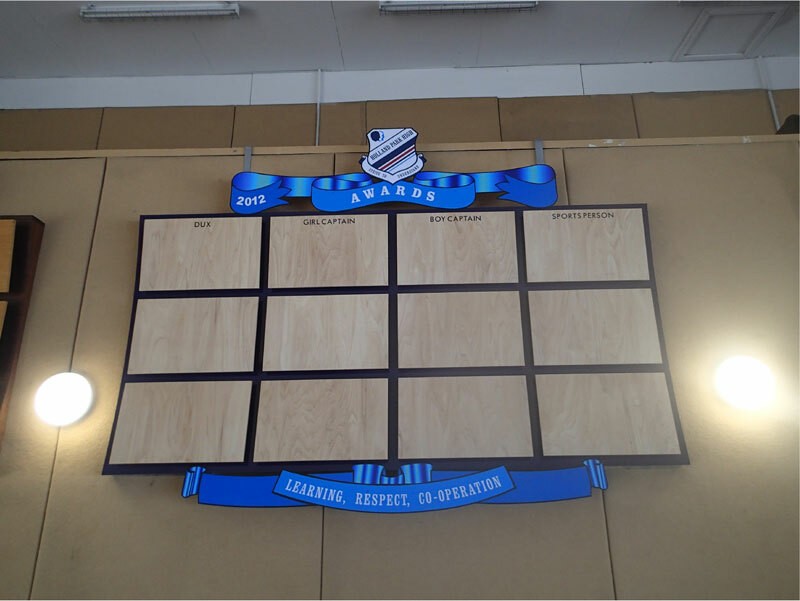 We have also been commissioned by several schools to manufacture new honour boards in the likeness of original boards that are now complete. Making an honour board is a time honoured skill and one in which the staff at Sign Age QLD take very seriously. Our extensive experience in school honour boards will ensure that we are able to give you the advice and information that you require to choose the right company for this important job. This is the original school honour board.